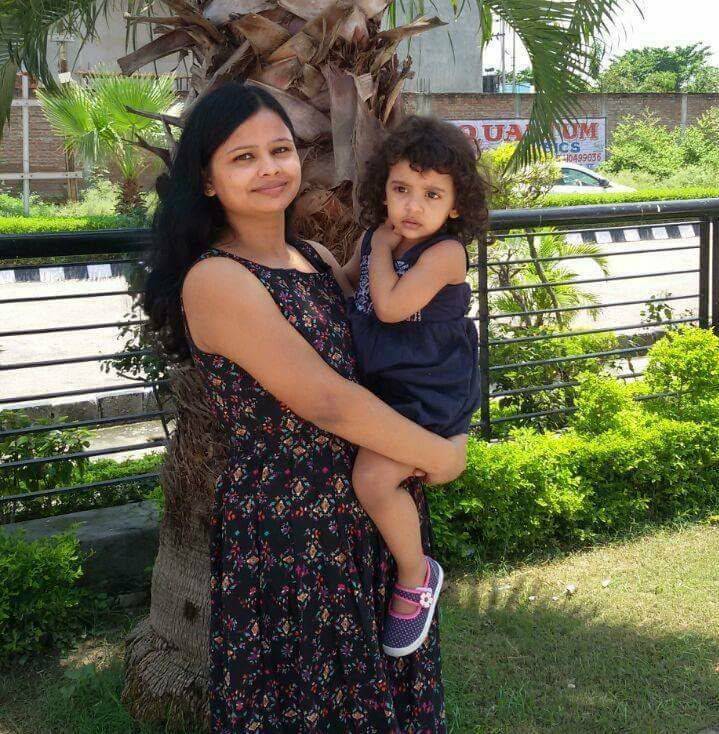 Meet Deeksha Tripathi, an amazing woman empowerment blogger and even more amazing mother! I started my blogging journey a few years back. At that time, I had a no niche blog. I wrote about everything related to women lifestyle, fashion, inspiration, parenting, recipes etc. etc. But I felt I was lacking the motivation to continue my blog. Meanwhile, a tragic life changing event happened in which I lost my mom. I slipped into a temporary depression. I didn't feel like doing anything and I stopped blogging as well. I lost my domain and hosting as I didn't renew them on time. I lost my blog. I wasn't going to restart it. But then a friend encouraged me to give it a try again. This time when I decided to restart my blog, I was sure about what I wanted to do. I decided to be a women empowerment blogger! Do you blog full time or part time? If full time, how did you get to that point? If part time, what else do you love to do? Blogging, of course, is my first love and I love to do it whenever I get time. Besides blogging, I love to hang out with my friends and family. I binge watch movies and eat pizza when I 'm all alone! What is your blogging niche and why did you choose it? I feel women are the most beautiful creations of God. This is the reason why I chose to be a women empowerment blogger. I love reading and writing motivational real-life stories of women who struggled hard and achieved success through their hard work and determination. My blog WonderfulWoman.in is dedicated to all such women. I named my blog WonderfulWoman.in since I believe Every Woman is Wonderful as the punch line of my blog also says! Tell me about what you love about being a blogger. Blogging makes me live my dream of reaching out to women around the world and letting them feel how precious their life is. I have also made some fabulous friends during the course of my blogging journey who belong to different parts of the earth. So I absolutely love being a blogger and gaining rich experience of life through this! Tell me a little bit about your struggles in growing your blog. Growing traffic to blog is always a challenge for a blogger. I too have faced it. But through my continuous efforts and hard work, I have started to get regular visitors to my blog who appreciate my work. I must say, blogging involves a lot of serious labor and patience which pays in long run. What kind of obstacles did you encounter when you started blogging? As a newbie, I faced many problems with blogging. I didn't know what plugins, and apps I should use which can help my blog. I had no idea of checking analytics and social media for boosting my blog's traffic. I had to learn each and everything and I'm still learning them to make my blog better. Have you overcome any of those obstacles? If so, tell me about what you did to overcome them. I have overcome some of the challenges and some I'm still trying to overcome. Blogging I believe is all about learning something new every day and finding ways out to solve your problems. Tell me about a few obstacles you have encountered in your own life. What life lessons came out of those obstacles? I come from a middle-class family and have been taught to work hard in life in order to get what you want. So, I understand the value of everything that I have in life. I have learned to be a grounded person doing my bit for those who are not so privileged. What do you feel most proud about your life and your blogging journey? I feel proud to be a compassionate and caring human being- a trait which is often missing in people these days! I feel proud of being a women empowerment blogger as I feel I'm doing something valuable for the society through my inspiring blog! The person I admire the most in my life is my mom. She is my role model and my inspiration. My mom was an extremely hard working woman with a very strong will power. She raised all her daughters single-handedly as my father used to be posted out of the city. She managed her kids, her home, her job and stuff like marketing, paying off bills and other banking transactions all alone. I always feel she was a superwoman! She was full of love and compassion for all living beings and we all have inherited this trait from her. We are huge Animal Lovers like her! As it is said whom God loves, die young. God needed her in His world so He called her last year. I lost her to a heart disease last year. But I feel she is always with me and ‘everything I do I do it for you’ mom, to make you feel proud of me! Do you have anyone you look up to in the blogging community? There's one blogger friend of mine who is my hubby's childhood friend. It was he who introduced me to blogging and has been there for me whenever I needed any guidance. His name is Anirudhh Singh and he is a full time blogger making decent money from his multiple blogs. I look up to him as my inspiration in blogging. What are you most afraid of in your life and blogging journey? I'm most afraid of losing motivation to continue blogging (which I actually never want to happen!) But this is true, the thing which scares most bloggers is to lack inspiration, feel depressed and quit blogging some day. What do you look forward for the future of your blog, and your life? I wish to see myself a full-time blogger in future not just getting regular income through it but also making a difference in the lives of women around the globe through my blog! 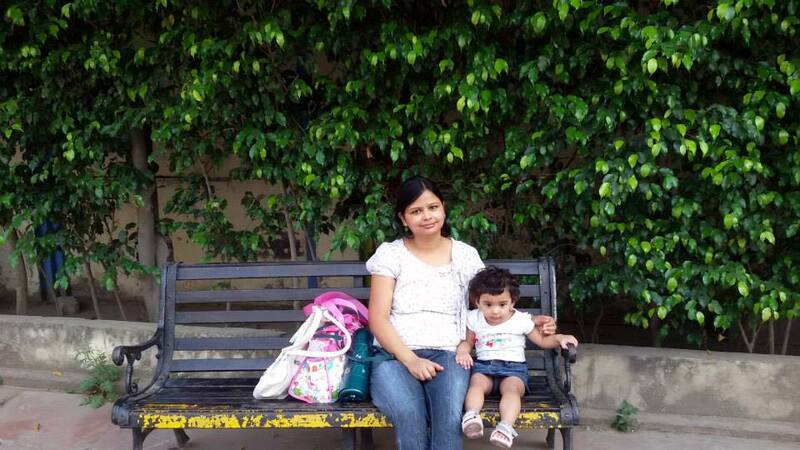 Check out more about Deeksha on her blog. Connect with her on Pinterest, Instagram, Facebook, and Twitter.